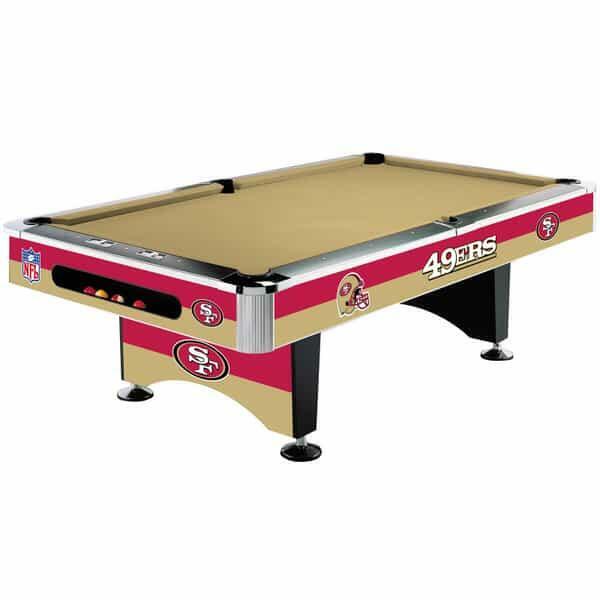 While you may not be able to visit Candlestick Park every Sunday, the San Francisco 49ers Pool Table from Imperial offers the next best thing: an awesome centerpiece for your man cave that offers the enjoyable game of billiards, along with your favorite team's logo and colors. Good luck finding an alternative piece that shows off your love of the Niners; this eight-foot pool table is the only officially sanction 49ers pool table available on the market! Bring the Gold Rush to your home with this beautiful, and functional piece; friends and family members will routinely show up on game day, hopefully armed with beverages and chips, ready to watch the red and gold dominate the NFC!